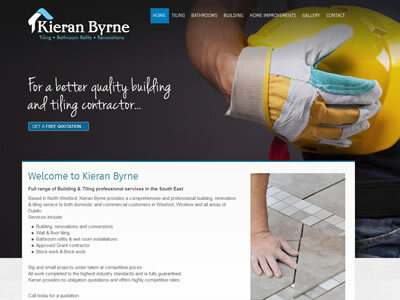 Kieran Byrne located in north county Wexford provides professional tiling, bathroom and wetroom refits and new installations. 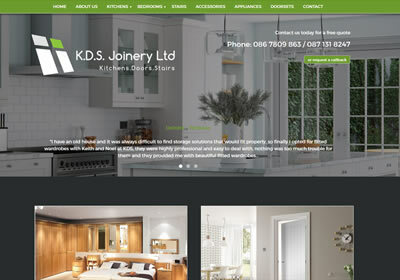 Kieran will also provide expert home improvement and building services to domestic & commercial customers . 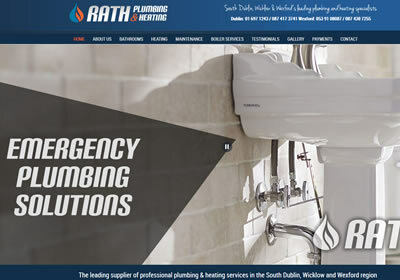 Rath Plumbing offering an extensive plumbing and maintenance service to Wexford, Wicklow and Dublin regions, including all types of heating upgrades, boiler servicing and a bathroom and wet room design service. 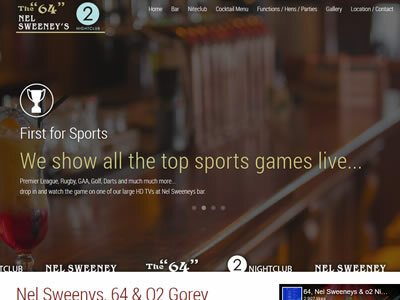 More information available on their new website. 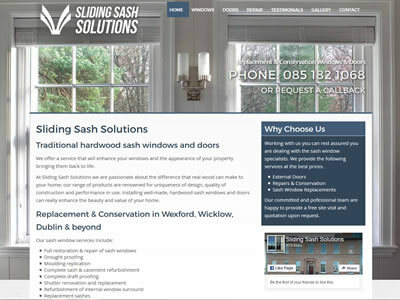 Sash Windows Ireland are leading specialists in sash windows, fitting and supplying both traditional and UPVC sash windows nationwide. 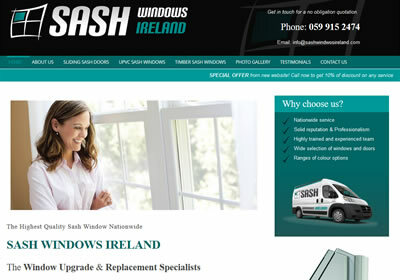 They also ofer a window upgrade and replacment service. 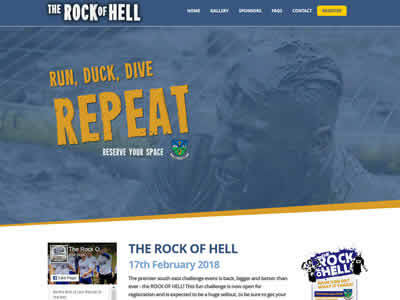 Further information is available on thier website. 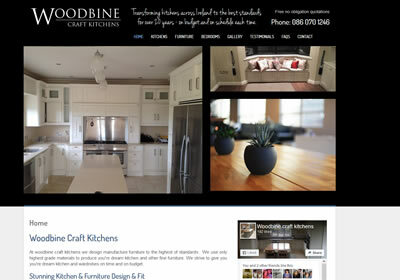 Woodbine Craft Kitchens specialising in hand made kitchens and fitted furniture for your home and business, they offer a nationwide service - their new website offers a gallery of some of their work and details on their services:. 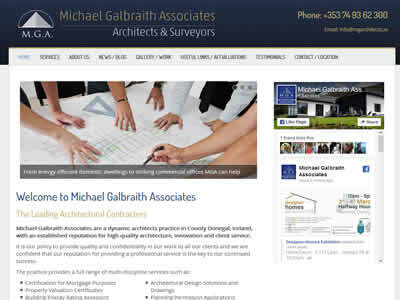 Building Contractor covering the South East and Leinster regions, available for all building and construction works, looking after both domestic and commercial clients. 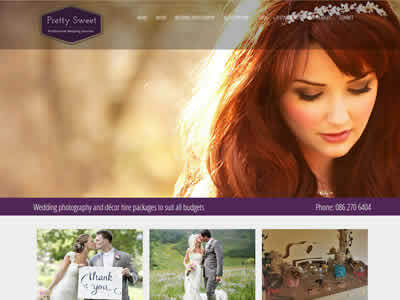 Have a look on their new website for a full listing of their services. 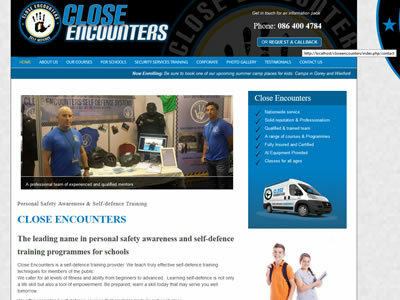 Budget Barriers provide and supply all types of barrier hire for events, security and safety. Nationwide delivery is available. for all barriers, including security fencing and pedestrian barriers. 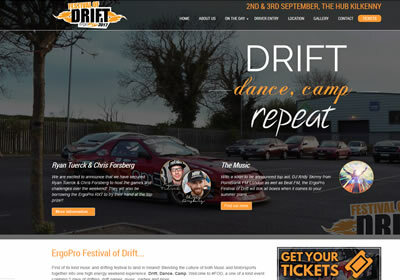 More information is available on their website. Beautifully Tangled - a professional hairdressing and beauty service in North Wexford offering the latest in hair trends, including extensions, balayage and special occasion and bridal hair and makeup. 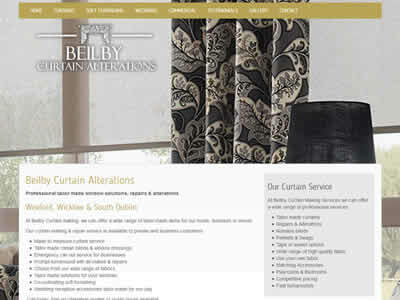 Their new website contains full listing of their services and products. Based in Gorey, Seariver distribution source and supply premium health and well being products throughout Ireland. 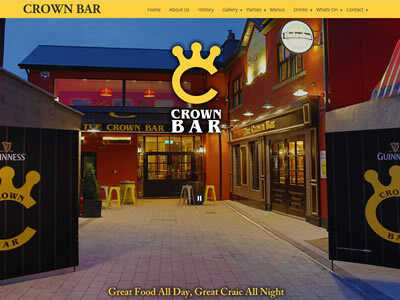 Offering leading and innovative brands to the hospitality and foodservice sectors. 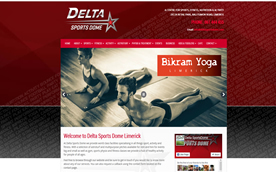 Bikram Yoga Limerick with a purpose built yoga studio is located in the Delta Sports Dome and offers a range of yoga classes and packages to suit all yoga levels, from the beginner to the more experienced. 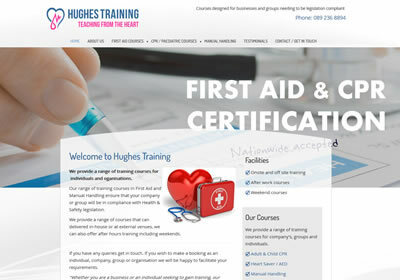 Classes run throughout the year and further information can be found on the website. New Horizons is a counselling service with locations in Gorey and Enniscorthy offering experienced and qualified counselling in the areas of anxiety, grief, addiction and relationships. 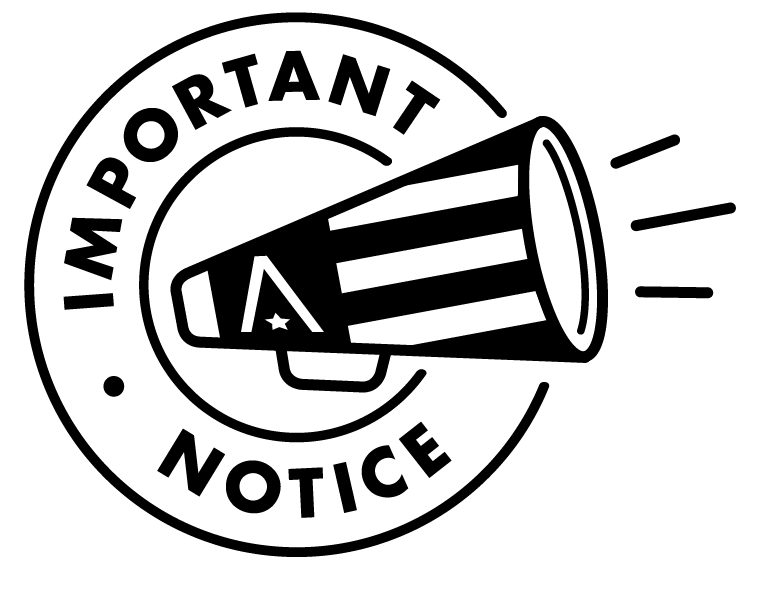 This is a confidential service and further information and advise can be found on the website. 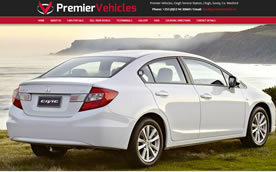 Based just outside Gorey in North Wexford, Premier Vehicles offers a range of top quality used vehicles, with details of all makes and models available on their new website. They offer finance packages, welcome trade ins and also offer a channel for you to sell your own vehicles. 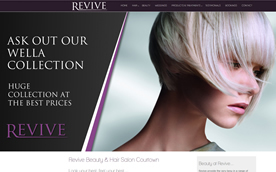 Revive Hair and Beauty Salon based in Courtown in North county Wexford offers colouring, styling and hair extensions as well as catering for all special occasion and bridal hair. 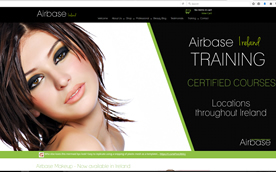 Their in house Beauty Salon offers a range of treatments and makeup for all occasions, plus is equipped with an up to date nail bar, so all of your beauty and makeup requirements can be catered for here. This spectacular Christmas Festival is set to dazzle little and big kids alike this festive season! Visit a live crib before baking gingerbread men with Mrs Claus in her kitchen and then visit the man himself and see if you are on the ‘nice’ or the ‘naughty’ list. 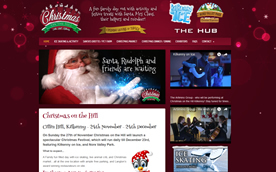 Finish your Festive trip off by visiting the Christmas market and the ice rink, dare to ride the mammoth ice slide or the rodeo reindeer, then chill in the Ice Café. 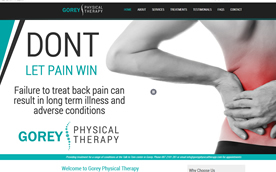 Based in Gorey, Gorey Physical Therapy offers a variety of treatments and services that provide relief and management of pain in areas such as back, knee, disc and sinus problems.Treatments include Sports massage, Myofascial Release, Trigger Point Therapy and Joint Manipulation. 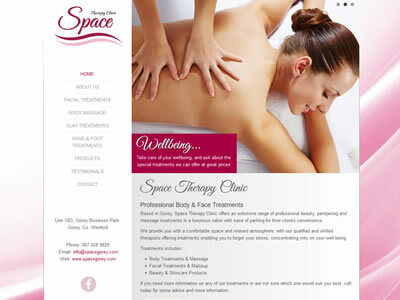 See the website for a full listing of services and treatments. 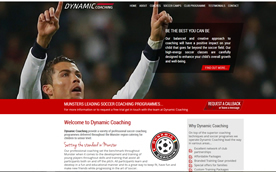 Dynamic Coaching offers soccer coaching programmes and camps for all ages, from children to senior levels throughout the Munster regions. Custom training programmes are also available and are tailor made to suit individual and group needs in order to maximise every players potential. Based in Wexford Michelle Dooley Mahon is a talented writer, 'Scourged' her latest book can be purchased via this new website. Michelle is also a Spoken Word Performer, Photographer and Blogger and videos of her work are also available here. 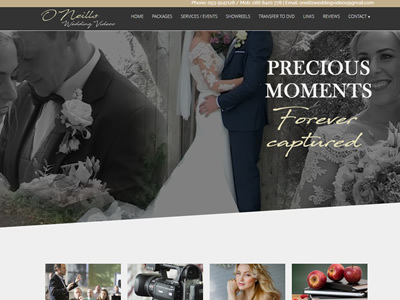 Stay up to date with Michelle and her work through her new website. A Service based in Wexford but offering a nationwide service that specialise in the reconditioning of automatic and manual gearboxes for cars and light commercials. All reconditions are fully warrantied by Wexford Transmissions. The team also provide a wide range of other services including gearbox test & diagnostics to the supply of oils & additives. World Championships of Performing Arts is a series of competitions on an international scale which culminates with the finals in Hollywood. Further information is available on auditions and bootcamps to prepare the Irish audience and contestants for this global event. 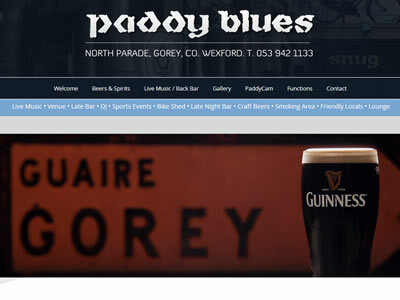 Sound Out is a website dedicated to music, recording and vocal lessons in the Wexford area and beyond. 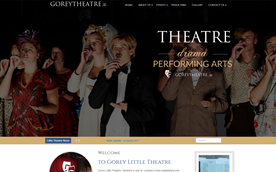 Conor Moore also offers workshops for groups and schools as well as one to one lessons. Further information on his services and videos of his work is available here. 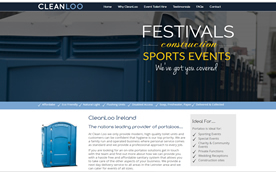 Clean Loo operates a portaloo hire service in Ireland suitable for all events, including sporting, wedding, festival and construction.These environmentally friendly portaloo units are delivered and collected from your event and provide the perfect solution for any outdoor or large event. 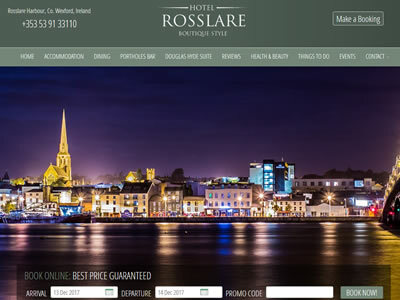 Boutique accommodation based in Bunclody in county Wexford, Clody Lodge has ten bed rooms and the website contains a gallery of images to allow the customers to view all aspects of the lodge. 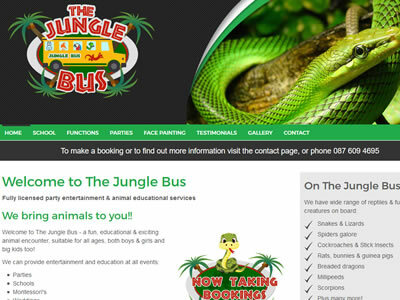 The website also has a booking facility to ensure ease of bookings for customers. Children in the Light is a holistic service for children specialising in treatments for insomnia, colic, anxiety, behavioural and other areas. Courses in colour light therapy can be booked for individuals and parents interested in learning more about home therapies. 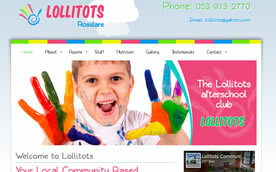 Services are available in Wexford and Dublin. 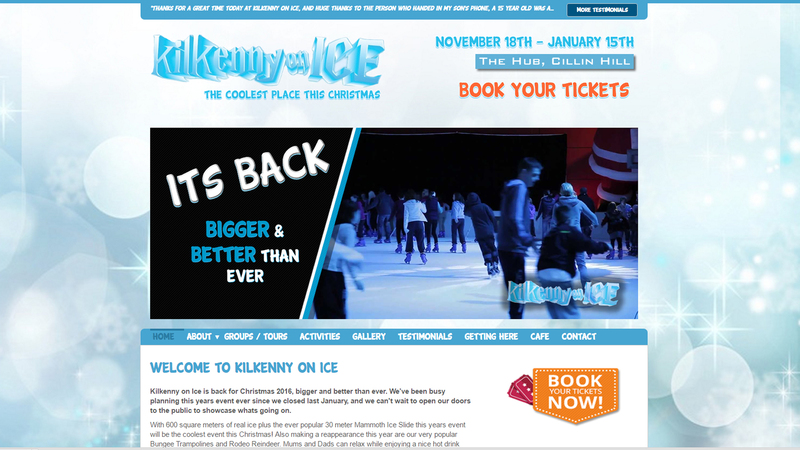 Kilkenny on Ice, back for 2016 with more activities than before, including: a 600 square metre ice skating facility, Ice slide, bungee trampoline and an the Ice Cafe to warm up in afterwards. Groups ad parties welcomed. 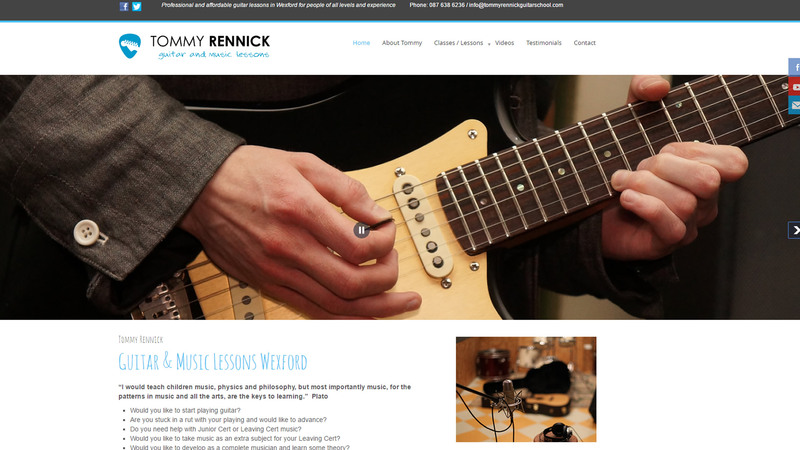 Tommy Rennick Guitar School provides music and theory lessons in Wexford. Tommy also provides Junior and Leaving Cert lessons. 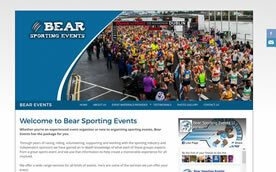 Bear Events, is a website dedicated to meeting the needs of event organisers. These event consultancy experts can provide the equipment required to host a vast array of sporting events, from pa systems to crowd barriers. 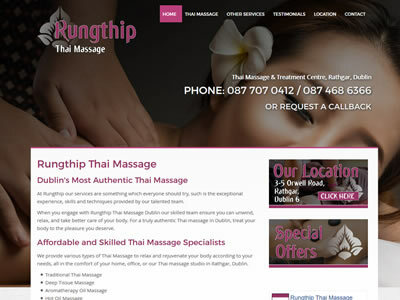 A website dedicated to holistic therapy including holistic massage, Indian head massage and reflexology. Yoga is for everyone regardless of age , levels of fitness or challenges. My aim is to show people how to work without straining or forcing the body past its own limitations, yet encouraging everyone to reach their full potential." 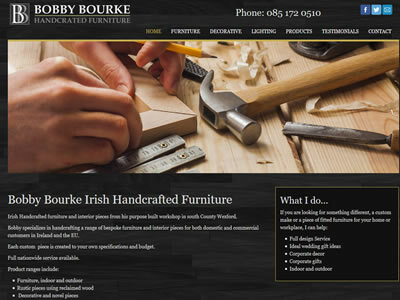 Professional carpenters based in South Dublin that offer attic conversions and carpentry services to Dublin and surrounds. in 2016, Johnny opened his own "Golf School" and is now the PGA teaching Professional in Killiane Driving Range, Co. Wexford.Johnny has a full repair work shop providing professional services and advice, for over 40 Years in the Golf Business. 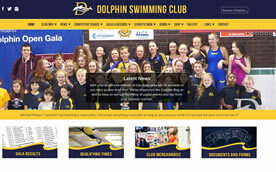 Dolphin Swimming Club, based in Mayfield, Cork, is one of Ireland's oldest swimming clubs, founded in 1901. It caters for swimmers of all levels from beginners up to national and international elite standard. 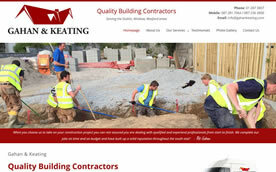 Building Contractor servicing: Wexford, Wicklow, Dublin. With 20 years of experience, Gahan & Keating specialise in the construction of custom built family Homes, Commercial property & Supported living Residential Homes. 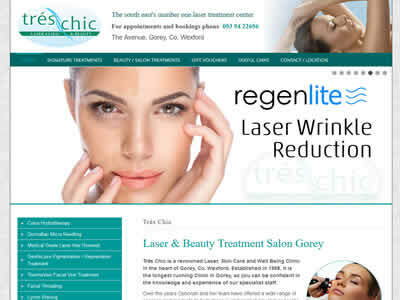 Elite Aesthetic Treatment Clinic offer a range of professional services in Derry city to clients nationwide. 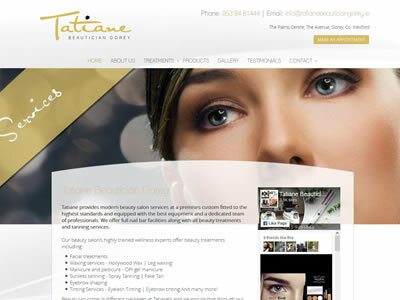 As well as stocking and supplying the leading brands they provide services such as botox treatments and more. 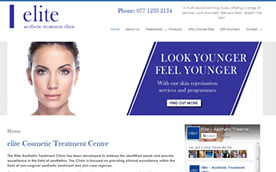 The clinic is a multi award winning establishment and has featured in many magazine and newspaper articles, as well as being endorsed by many celebrities. Happy Baby are Ireland's newest baby superstore, with a large showroom in Gorey Town. 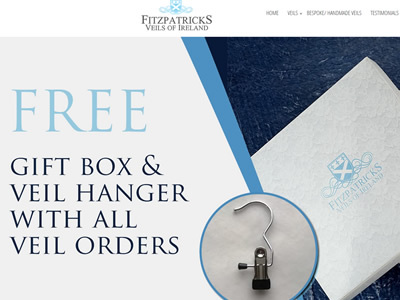 The HappyBaby.ie website is your online store where you can purchase many items for your toddler or child, from safety products to playtime games. 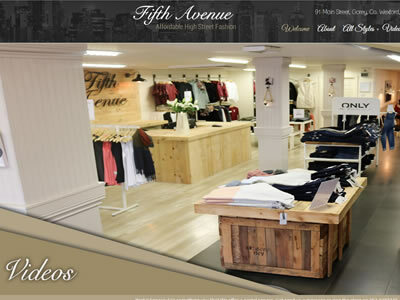 If you are visiting Gorey drop by and visit the store, next to Redmond Electric at WFC retail park. Itomica are a team of IT professionals providing a range of IT service solitions throughout the south London and South England areas. 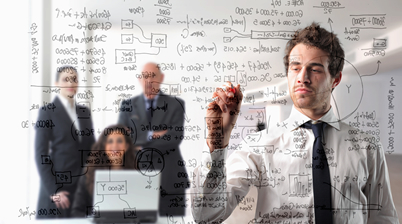 With a wealth of experience and numerous service certificates choosing to work with Itomica IT solutions can mean you have more time and resources to concentrate on the business side of things in your company.